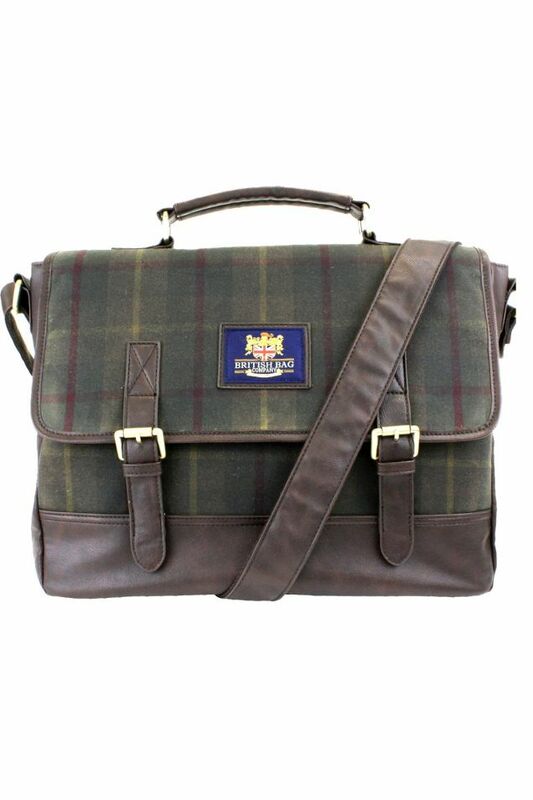 British Bag Briefcase Bag/ satchel in a Millerain Waxed Tweed Cotton collection. Great for day to day use or for short trips away. There are a number of matching items. Holdall, washbag, tablet case, laptop sleeve and an I-pad case, small and large phone cases and glasses case. A fantastic present for someone special. A must have addition to a bag collection. Buckle Front look, secured by 2 brass press-stud fastener.